Stylish and practical, this Triangular Cocktail Strainer offers a compact shape and size whilst fitting to the shape of your hand. 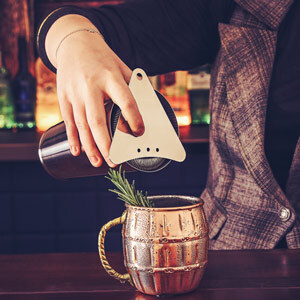 Designed to fit perfectly in the rim of a Boston cocktail shaker without the need of prongs for stability, this cocktail strainer is perfect for removing ice and other ingredients from your freshly shaken cocktails. "Although it may seem a little pricey for a strainer, I find these far easier and less fiddly than cheaper Hawthorne strainers. 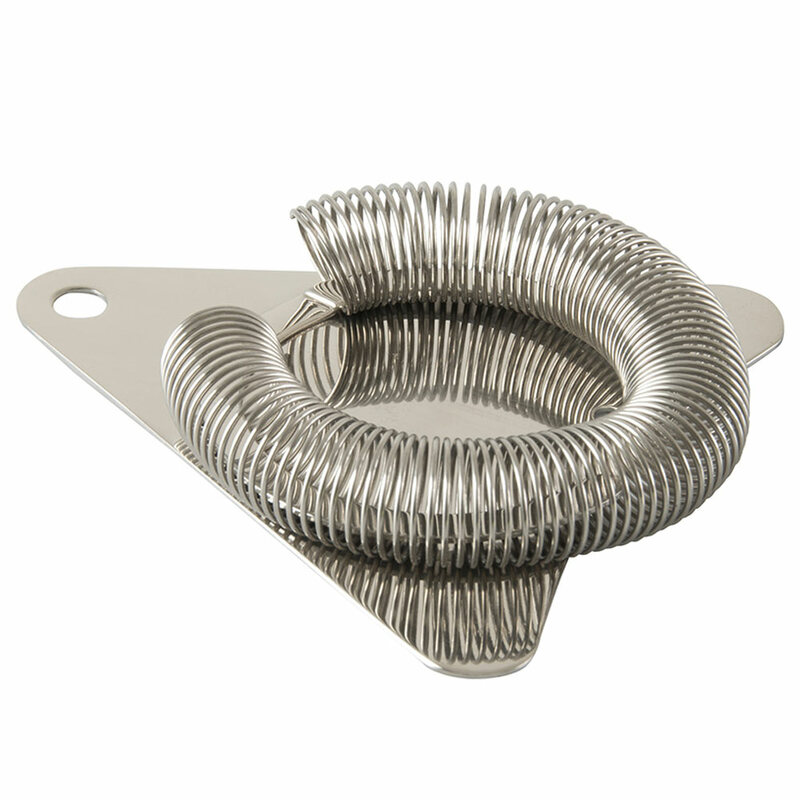 The tighter spring also reduces the need for a fine strainer, helpful when working high volume! This item is solid, heavy and takes a beating daily at work, others have fallen apart or bent, so worth the money!"